Piano Tiles is just the kind of game for anyone who wants an easy-to-learn game that doesn’t come with too many complicated twists and turns – in other words, a super-casual game that even non-gamers can appreciate. The game’s premise is very simple, as all you have to do is to click on the black piano tiles, while avoiding the white ones. 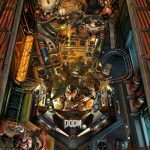 There are five game modes here – Classic, Arcade, Relay, Zen, and Free Play. 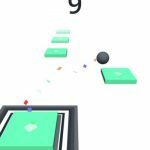 The only goal here is to beat out your old high score, though as you will soon find out, this is one of those casual games that’s easy to learn but hard to master. So with that said, here is our list of Piano Tiles cheats, tips and tricks for earning a high score in the game. Guitarists have such a thing as two-handed tapping, while mobile gamers have something that we can best call two-finger tapping. That simply means playing a game with two fingers – one on your left and one on your right. In Piano Tiles, you will usually be able to do better if you use your left finger to tap on the tiles on the first two rows from the left, and to use your right finger for those on the last two rows on the right. Some players would still rather use one finger for everything, but instead of awkwardly jumping from one part of the keyboard to the other, you will be better off making more fluid motions with two fingers working together. Typically, mobile gamers use their left and right thumbs when playing their favorite games. But in Piano Tiles, there is really no hard, fast rule when it comes to the fingers you can use. If you aren’t getting good results with your thumbs, you can try using your index fingers. Or you can use any other combination of fingers, as long as you’ve got a good rhythm with it. Classic and Zen modes are usually thought to be the best modes for beginners, or the best modes for practice. You don’t need to deal with gradually increasing speeds, which means you can take your time and work your way into a good rhythm. Before you give Arcade and Rush a try, we suggest playing Classic and Zen first, though you’ll want to try Rush if you really want to give yourself a big challenge from the get-go. Piano Tiles will remind you from time to time that you may want to rest every once in a while. Make use of the rest reminder tool to keep yourself fresh and avoid the pitfall of playing frustrated and distracted. You can set timers for rest reminders at about five to ten minutes so you can rest your eyes and your brain and have enough time to regroup.